Introducing, first of many, my very own feature on Mettel Ray called Fictional Friday! It’s a literature post series dedicated to everything book related, may it be wrap ups, reviews, Top 10 lists, you name it! Everything remotely related to literature is making the cut and it’s going to be posted once a week, on a Friday of course! 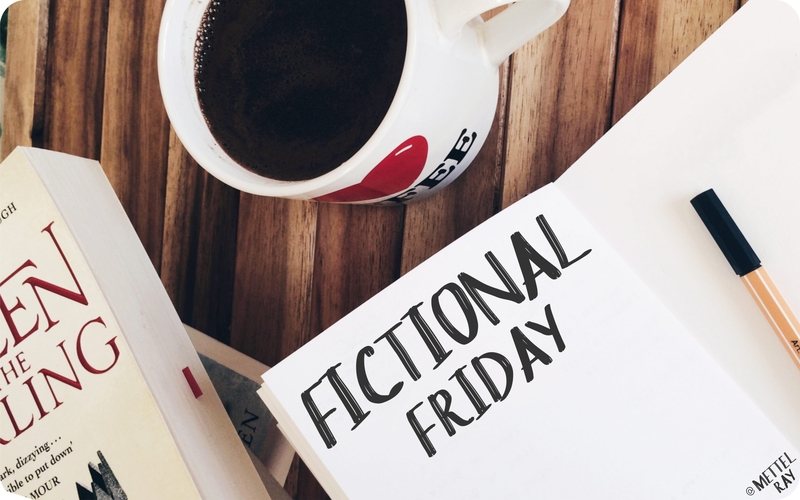 For my second post for Fictional Friday, I want to share my Monthly TBR Challenge for 2018 that is meant to guide me through each month in terms of picking books and reading outside my comfort zone. This is no surprise because fantasy is my favourite and I would love to pick up a book within this genre each month. I have not limited myself in terms of it being young adult or adult because it would be too restricting. But there is definitely some difficulty with this pick because a lot of fantasy novels I want to read are super long and time consuming, so it may take up a huge amount of my time in a month all by itself. Though I hope that my love for fantasy will keep me going. So, I’m cheating a bit but it’s for a good cause, because I know there will be a lot of YA novels coming out in 2018 that I want to read and many of them are fantasy. So instead of pinning myself into a corner I’ve made YA into its own category but sneaked in fantasy as well. But I’m sure I will be just as interested to read a lot of contemporary novels in the young adult genre so I think I’m able to keep the versatility. I know this category is wide but that’s because it is and it’s not easy to narrow it down. This is where I pick pretty much everything that is not fantasy and young adult. I have excluded two specific genres from this section (mentioned next) and made it into its own category otherwise I will never commit to the them. That being said, I do have a lot of thrillers in my TBR at the moment and I really want to pick them up more frequently, so I’m hoping 2018 will be a thrilling year. There we go, a genre I’m very unfamiliar with and a genre I really need to pick up more often, like, every month! I have added non-fiction to the mix because I have two books I really wanted to read in 2017 but never got to them, and now I have the chance to redeem myself. I also wanted to give myself the option not to fail this category because I do get very flustered with classic books. To make it a bit more accessible, I have decided to pick up classic books in my native language – Estonian. Therefore I’m less scared of the language barrier which seems to be my biggest fear when it comes to classics. It will also give me a chance to read more in my native language, which I haven’t done in years (shame on me!). The Strange Case of Dr. Jekyll and Mr. Hyde, David Copperfield, War and Peace, The Idiot, To the Lighthouse, Why not Me? Finally, a Wildcard category to add a bit of fun to my month. It may be a poetry collection, it may be a graphic novel (I’ve never read one) or maybe another YA novel just to get myself from 4 books a month to 5 because I do need to read more at times. In other words, everything goes, and I feel like it’s a great little addition to my list so I could enjoy my TBR pile a bit more. And for once, I plan to stick to my TBR list because it’s getting out of hand I need to get it down to a number that’s less scarier than the one I have at the moment… it’s very very big. That’s my 2018 monthly reading challenge, find out what books I’ve picked for January next Friday!